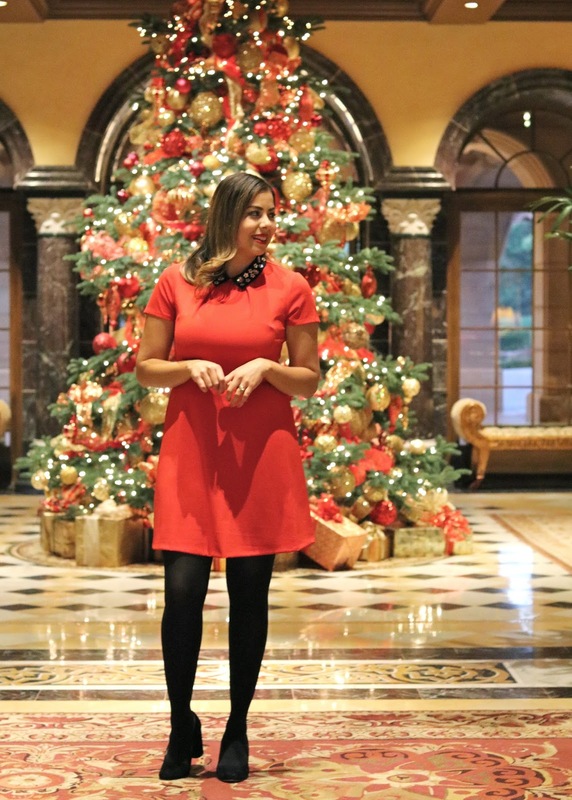 We are T-2 until Christmas and today I bring you a festive lil red dress that I wore for an elegant afternoon tea with fellow San Diego fashion bloggers Kali, Jenna and Kara at the beautifully decorated Fairmont Grand Del Mar! I don't think I have had afternoon tea this fancy before! Everything was Instagram-worthy accompanied with some good girl time! Tea is served in the "library" which you can kind of see in back of us in the below picture. 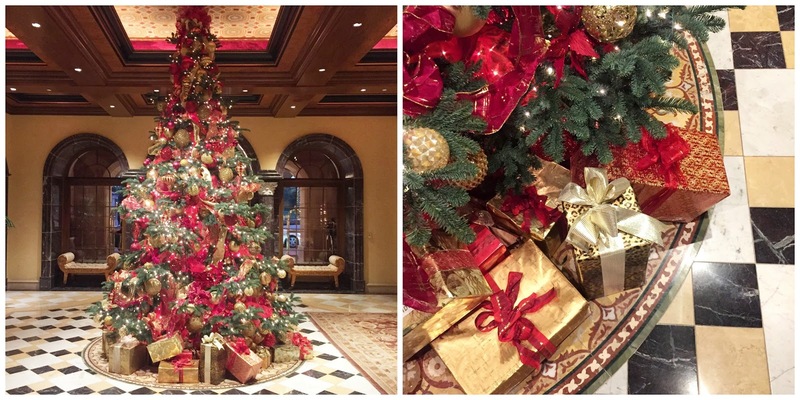 I had some serious Christmas Tree envy looking at this beautiful and lush Christmas Tree in the Grand Del Mar lobby! Maybe one day I'll recreate this beauty! I found this dress perfect for the occasion at my local Kohl's in the Elle Collection section. 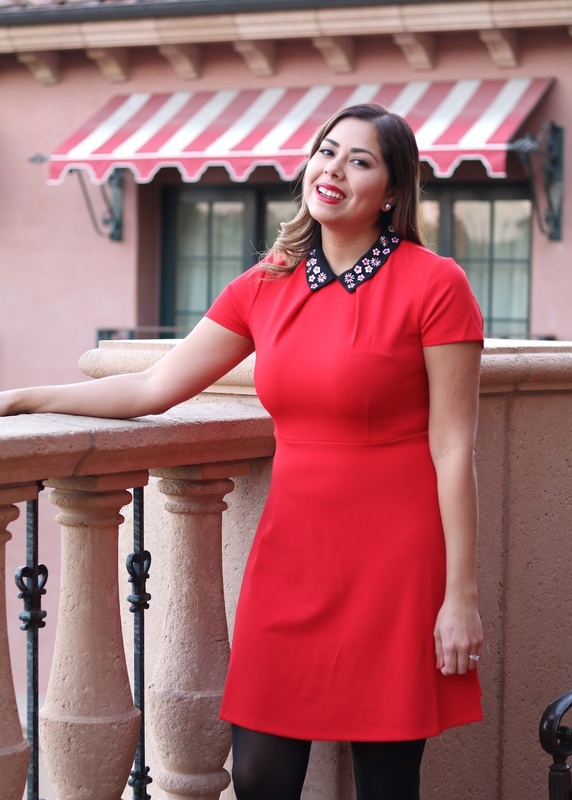 Sadly it's not listed online, so I have linked up some similar red dresses down below (or you can give your local Kohl's a shot). 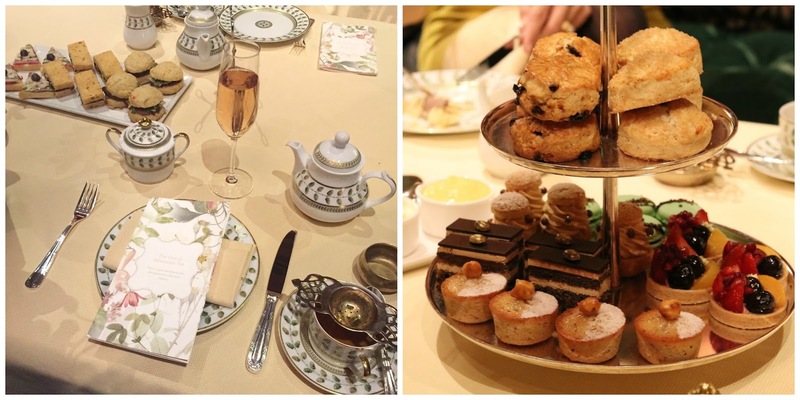 I highly recommend the Grand Del Mar's afternoon tea if you are looking for something fancy to do with girlfriends (definitely a great excuse to dress up!) I'm wishing you all the BEST Holiday Weekend filled with positive vibes and love! A little red dress is always a good idea!!!! Merry Christmas! The red dress is so lovely! Wow! This dress is gorgeous! Perfect for the holidays!